It's just $AU25 per annum for a subscription to this new Australian resource, that's only 6 cups of coffee. Before I signed up for an annual subscription I thought I would see what was available on my ancestors as one can search the index for free. The database contains over 500,000 entries from transcribed manuscript records including convict, muster, census, baptism, marriage and burial records for most of the New South Wales population 1788-1828 so I thought it likely that I'd find some entries for my convicts. There are four references to Elizabeth Phipps, one for Robert Haywood, one for John Tucker, seventeen for James Westbrook and his offspring, one for William Madgwick, one for Denis Tierney, one for Patrick Corry (Curry) and two for Eleanor/Ellen Moore. And that's just my direct ancestors! I am off to join up right now so that I can download the information the database holds. I will report on my findings once I digest the information I receive. The Biographical Database of Australia website tells us "This not-for-profit Database is the result of many years of work by volunteer genealogists and historians and contractors. The project aims to transcribe and index biographical data from original records of individuals who arrived from overseas or were born in Australia, including Aboriginal people, convicts and immigrants of all nations. It also aims to include data from early biographical dictionaries, newspapers and other published information and to incorporate the work of modern genealogical and historical researchers. The only restriction is that biographical subjects must be deceased." Further information about this project can be found at http://www.bda-online.org.au/about-us/about-bda/. 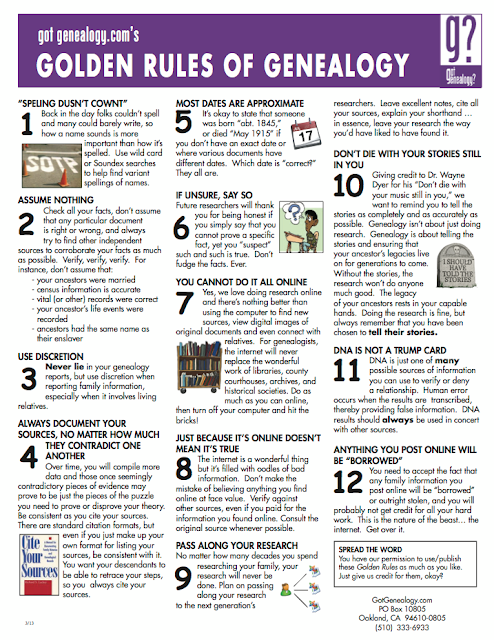 I was alerted by Julie Goucher on Google+ today to these Golden Rules from GotGenealogy.com . I like the way it emphasizes sharing in numbers 9 and 10. I liked the list so much that I have downloaded it here for my reference and for the interest of those who may not have seen it before. When I was in The National Library of Australia earlier this week I consulted The Fairfax News Store which used to be a subscription site where one could search the Fairfax stable of publications and then, for a fee, download those of interest from the list of hits returned. I was surprised to see this notice on the site "Important notice to all NewStore users. The NewsStore service is now free! Please click here for more information.. I didn't follow that link to more information but promised myself that I would check out the site when I returned home. It is definitely free. I did a search for someone who is near and dear to me and I was rewarded with 14 news articles from a couple of Fairfax papers. Perhaps you, my readers, might have caught on to this but I haven't heard anyone else in genealogy circles mention that this resource was now free. Perhaps I have been living under a rock. This is a useful site, especially, for tracing current family members but I haven't used it for ages because of the fees. I tried some simple searches for my most common surnames and struck gold. A couple of birth notices from the Sydney Morning Herald gave me the spouse's name of a second cousin, the names of their two children with birthdates and the hospitals in which they were born. A search for another surname gave me 28 results from 5 newspapers for the period 1996-2013. More specific searches returned some death and funeral notices that gave me names of children and confirmed dates and places of death. This resource can be used to find those notices from The Sydney Morning Herald, The Melbourne Age and other Fairfax papers between 1996 and today that have been indexed on the Ryerson Index. 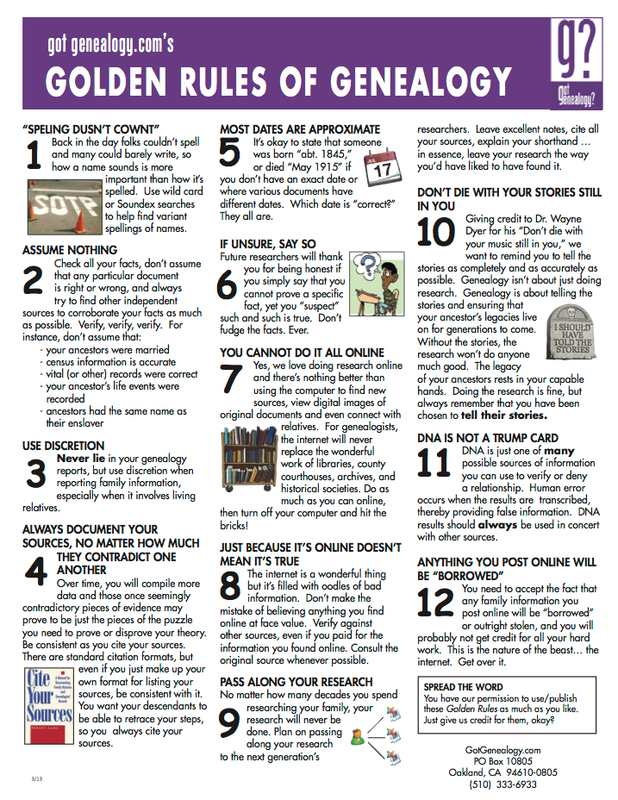 Were you like me in the dark about this free resource? Not too cold, not too hot, just right. That is springtime here in Sydney, Australia where I live. 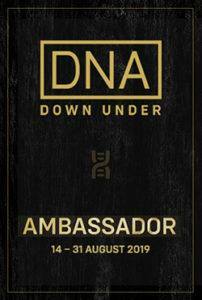 Spring downunder runs from September 1 to November 30. The blossoms on our prunus and the blooms on our camellias herald the arrival of my favourite season, Spring. Not long after that the crabapples burst into bloom and the azaleas put on a dazzling show. 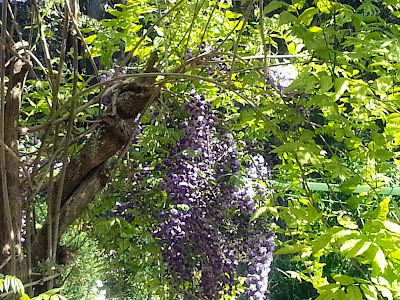 The wisteria crawls along our pergola promising some shade for summer. Our stone fruit, apple and pear trees show promise of a good yield for Christmas, that is if we manage to harvest the fruit before the cockatoos, bats and possums descend for a picnic. I seem to sneeze a lot in spring as there is so much pollen in the area especially when the yellow wattle is blooming, I always hope that there is no wind around the wattle time. Taking meals outside in the shade is a pleasant activity in spring, there aren't too many flies around to share our food and the biting heat of summer is still around the corner. We always seem to have wonderful weather on Father's Day, the first Sunday in spring, and are able to have a relaxing lunch on our back verandah. So many of our plants have a beautiful perfume that fills the air although the aroma from our freesias is so strong that I cannot bear to have them inside in a vase. Visiting a friend's place I realised that I don't have a common jasmine planted, I have rectified this and look forward to the jasmine's perfume next year. Although I try to swim all through the year springtime is the time of year that I get serious for eight months or so and try to claw back some level of personal fitness. I like to stay at home in springtime because the conditions are so perfect. As we are getting on we will have to leave our semi-rural haven for a smaller plot in a few years. I will try to move in winter so the parting is not so difficult. I forgot to mention the roses! This post has reminded me that I haven't taken any springtime photos in the garden this season. I had better get a move on. ...we might even save a few trees. I am trying really hard to cut down on the amount of paper I keep in my Geneacave. This morning finds me scanning handouts from a conference I recently attended. Only one of the presenters in the sessions I attended (thank you Cora Num) at that conference offered handouts in a digital format. At the beginning of her talk Cora gave us the URL for her handouts, I was able to download the handout onto my tablet and annotate it as Cora proceeded with her talk. I must say that I prefer a hard copy handout to no handout at all but soft copy is the way to go in the 21st century. Presentations folder on the external hard drive where I keep all my genie stuff. (I have previously discussed my filing method in the Fling it in the Folder and subsequent posts). The hard copies then find themselves in my recycling bin. The scans are filed by presenter name and title eg Num, Cora Research tools for the digital age. If I was really organised I could add some tags but I find that I can usually find a document I need via the Windows search facility. 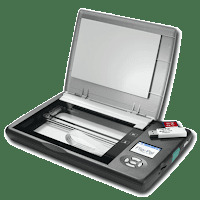 I find it much easier to file a soft copy than to have to go through the whole scanning process. There are many options for sharing handouts in various formats on the internet: one's own website, Dropbox, Facebook, Google Drive, Prezi, and Slideshare are just some options. I realise that presenters may be concerned about the intellectual property of their work and not want to post in a public forum. In this case they could collect the email addresses of those who want a soft copy and send it out; this could be rather tedious if several hundred people want the presentation. They could offer to send copies of the presentation by return email to those request it. Handouts could be saved to a private page on Facebook. Where there's a will there's a way. Organisers of large conferences should make provision for the storage and delivery of presentation notes to attendees. Smaller local groups and societies may not have the resources or expertise to manage this; presenters need to be mindful of this and ensure that their audiences can easily access digital copies of presentation notes. I am wondering if other genies prefer hard or soft copy handouts. 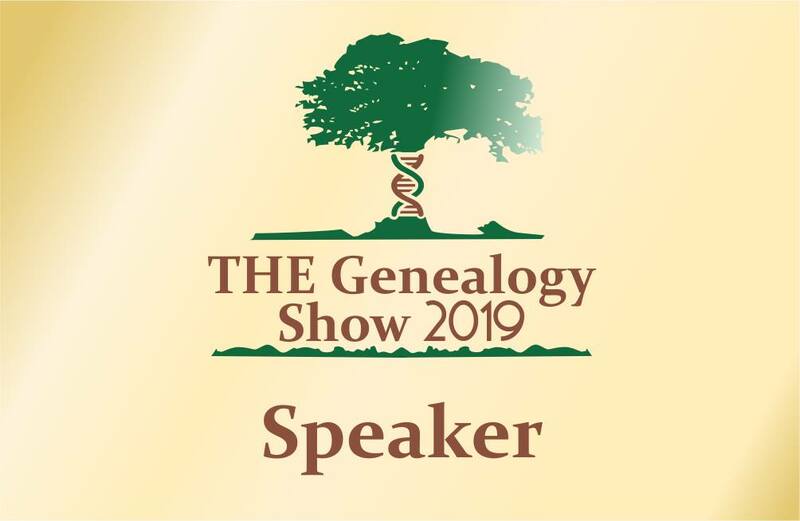 I am looking forward to attending this event with Alan Phillips from Gould Genealogy where I will be demonstrating how the Flip-Pal Mobile Scanner can help you tame your collections of photo and documents. I'll also be happy to share my experiences on Unlock the Past Genealogy cruises. If you are going to the fair please drop by and say G'day. Full details for the event can be found here: http://www.nswactfhs.org/whatson/index.html. .... is not as much of a mouthful as "29th Annual Conference of the NSW & ACT Association of Family History Societies" so I was pleased when I contacted the Conference Organisers prior to this Conference and, with the help of Shauna Hicks, we agreed on the hashtag #NSWACT13 to use on Twitter and other social media when talking about the event. I was a trifle disappointed when I realised that only about a dozen bloggers were at the Conference and that just a few more people tweeted from or about the event. Although the Conference had a Facebook Page only three people appear to have posted there; some bloggers announced their posts on Google+. This is the 21st century. We need to use social media tools to let the world know about amazing events like this one. I had comments/replies to my posts from people in Australia, Britain, Canada, New Zealand and the United States as I am sure the other bloggers and tweeps did. Most of these people probably didn't know about "The NSW & ACT Association of Family History Societies" and the conference but will probably think of the organisation in a positive light after reading about the wonderful times and great learning experiences we had. I managed to grab a few of my blogging (and tweeeting) mates for a group photo during Saturday's lunch break. Missing were Cassie Mercer from Inside History (who was minding her stand), the Author of the Conference Bluebell Blog, Carole Riley and Chez Leggatt. If you want to know all about the conference please take a look at the blogs written by these folk where you will find a host of posts and photographs about the conference. if you do a Google or Twitter search using the hashtag #NSWACT13 you will uncover even more conversations. Wouldn't it be great if we in Australia could follow the lead of conference organisers in the northern hemisphere and organise a group of Official Bloggers to report on these conference prior to, during and after the event. 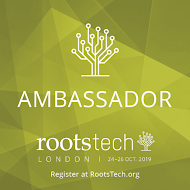 Perhaps this would encourage a new generation of genealogists, those who use social media daily and that we want to engage with our societies, to attend our events. 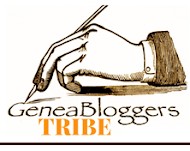 Trove just has to be the favourite online resource for Australian genies including me. There are times when we must leave the geneacaves in our homes, abandon Trove and venture out to use other resources. As I was in Canberra today I paid a visit to the home of Trove, The National Library of Australia, where I spent some time in The Newspaper and Microform room looking at newspapers on microfilm and in other online databases offered on site at the library. Although the library has installed snazzy new computer driven microfilm readers since my last visit the process of going through reels of papers on microfilm is a tedious job. This exercise today made me realise just how wonderful Trove is. So for Trove Tuesday this week I am showering the Trove Team with thanks and praise. I've been playing with the plugins for my genealogy database program, Family Historian, and just extractd these statistics with the help of a plug-in, Show Project Statistics. A quick look at the images has reminded me that I haven't added the baptism of my latest grand-daughter. Looking at reports like this sometimes points out inconsistencies in our databases; from examining these diagrams I can see that I have quite a few things to chase up. I was so busy meeting and greeting at last night's function that I didn't take as many photos as I could have. The opportunity to meet up with old friends is one of the aspects I enjoy at a conference. Even if I get nothing else out of the remainder of Conference presentations I have learnt enough at The Family History Fair today to last me for quite a while. I chose well with the two workshops I attended: The Trove Materclass and The Writing a Non-boring Family History Workshop were both excellent with personable and competent presenters who shared their information well. There were so many stands at the Fair that I did not get around to taking snaps of them all but I will do so tomorrow. As is my practice I won't be writing a lot during the course of this event but I will share a few photos for those who weren't able to travel to Canberra for the event. A Purple shirt provided a warm welcome and directions as we arrived. It's been a hectic day at the Family History Fair in Canberra today. So busy that I only managed one blog post done from my camera. And guess what? In my haste I posted it to the wrong blog. So if you'd like to see a happy snap of Conference Convenor, Kerrie Gray, you'll have to take a look at ballau.blogspot.com . In the interim lots of people have been tweeting about the day's events. Just do a search on the hashtag #NSWACT13 and you'll find tips and news tweeted by the usual culprits. Thanks to John Reid from Anglo-Celtic Connections for hosting a number of geneapolls throughout the year. I always take part in these and find the results and John's analyses most illuminating. John also hosts The Annual Rockstar Genealogists Awards. When I looked at John's post announcing the nominations I was surprised to find my name on the list and was pleased to see a fair representation of Australians there. I still don't know who nominated me but I am most grateful. I was very excited for my mate Shauna Hicks yesterday when I read that she was the Silver Medalist for Australia and New Zealand on a list of international genealogy megastars. I got an enormous surprise earlier today when John let me know that I was the Gold Medalist for Australia and New Zealand. When I emailed my husband to tell him the news he replied "what an elite group". I was humbled, surprised and gobsmacked to find my face on the page with the others in this group. I realise that more than a a few people must have voted for me in the poll, thanks to each and every one of you for your support. 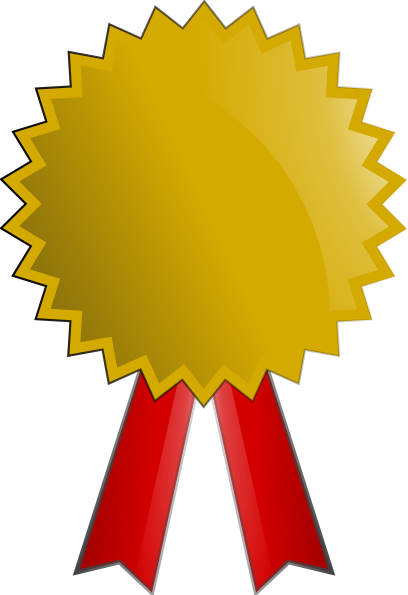 With our relatively small population base downunder it is difficult for Australians and New Zealanders to gain a large number of votes in international contests. I thank John for creating an Australian/NZ category and for including so many worthy Australians on the list of nominations. You can see the list of the the top ten Rockstar Genealogists from Australia/New Zealand on Anglo-Celtic Connections tomorrow. Your support for genealogy in our country is truly appreciated, John. 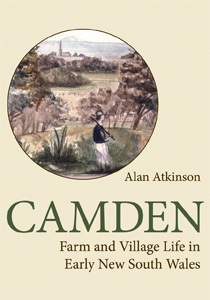 Years ago I read in Alan Atkinson's Book, Camden: farm and village life in early New South Wales, about the story of a young Curry ancestor who was tragically burnt to death in a house fire. den, was burnt to death during the absence of her mother, on Sunday last, the 4th instant. The mother had shutdeceased and another child up in a room, while she wentto the paddock for the cows, and it would seem that theelder child managed to open the door which led to theroom in which was the fire. The poor woman, on herreturn, found the child in flames, running to meet herabout a rod from the house, and so severely burned, thatdeath terminated its sufferings shortly after. A magis-terial inquiry was held on Monday, by W. Antill, Esq.,brother of our district coroner, and a verdict of acci- dentally burnt returned. On the weekend I was doing some more Curry research and found an article about another Curry Infant, Doris Maude Curry, who is the first-cousin once removed of Ellen Curry (1861-1862) mentioned in the previous article. Doris was my second cousin twice removed and Ellen was my first cousin three times removed. or five miles distant. The' father returned with all haste, and upon seeingthe condition of the child at once conveyed her in a sulky to Oberon, whereshe was rendered every possible attention by Dr. E. E. Griffiths .Upon' ar-rival at the doctor's surgery, the child was found to have extensive burns about the face, abdomen, and legs, andto be suffering very much from shock. As I prepare for the NSW/ACT State Conference at the end of this week I have revisited my old research log to see what outstanding tasks I have on the list for Canberra. I am treating myself with three research days in our nation's capital. Since I started using Family Historian software I haven't added to my Google research log as Family Historian has a functional and easy to use inbuilt facility. Prior to using Family Historian I kept my research log on a Google Drive spreadsheet that I could access on my phone, tablet, laptop or a public computer. For anyone whose genealogy software package doesn't have a great inbuilt research log a Google spreadsheet is a good solution. It took me a while to find a solution that worked for me and Google Drive does an admirable job. The ability to be able to sort the columns in a spreadsheet makes the data so accessible. For those who may be interested the columns I used in my research log spreadsheet were Surname, Given names, Birth date,Task, Details, Location, Result, Result date. These can be modified to suit an individual user. My current problem is that I have not transferred everything from my old research log to what are called "Named Lists" in Family Historian This afternoon's task therefore is to copy my tasks from the Google spreadsheet across to Family Historian. The benefit of using my genealogy software package as a research log is that I can have all my eggs in one basket that is I can consolidate my work in one place. I have already listed quite a number of tasks for the National Archives of Australia but my list for the National Library of Australia has only one item. In Family Historian I have created "Named Lists" for various archives and repositories that I hope to visit. There are three panes to the lists: the top pane shows all the lists, the middle pane shows the names of the people belonging to the highlighted list in the top pane and the bottom pane in shows details of the task/s attached to the highlighted person in the middle pane. So at the NAA I have ordered a document for James Aspinall Pusell. In this bottom pane which is free text I can keep a record of the actions I have taken regarding the task. And now I must away and attend to my geneatasks. Will I take the beads? Are you in on "The Book of Me, Written by You"?